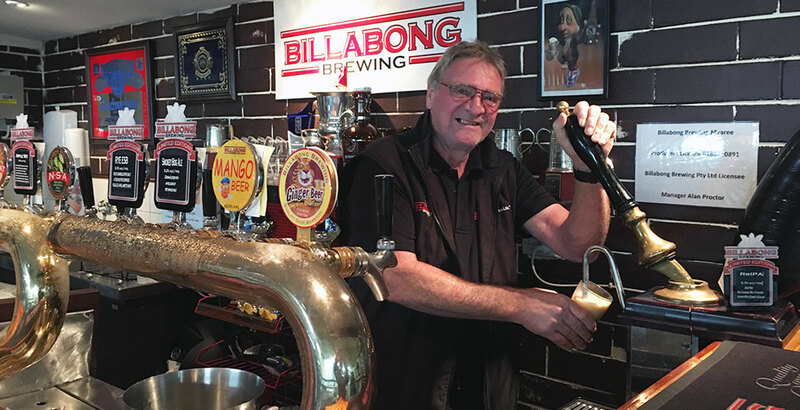 It wasn’t the nod from the Perth Royal Beer Show judges that has led to Alan Proctor toasting at the new Billabong Brewing bar. Sure, adding a few more trophies to an already well stocked cabinet has sated Alan’s thirst for quality brews. However, he rates winning a battle with City Hall as his best achievement of 2016. He fought the law and the law lost. Billabong faced a legislative hurdle under their producer’s licence that prevented them from serving any more than sample size servings to visitors. In WA, that meant less than 100ml, hardly a level that allows customers to fully judge particular beers. Nick Galton-Fenzi from Kalgoorlie-Boulder’s Beaten Track Brewery led the battle for brewers in the bush and Alan organised a city-based push in the hope of opening a small bar at his Myaree operation. He already had plenty of traffic through his venue. “It is so nice now to be able to put beers on show,” says Alan as he pulls a Ripa Red India Pale Ale from one of his new bar taps. “Nick, myself and [recently retired WA Brewers Association president] Brian Fitzgerald lobbied the government to allow producers to sell beer on site by the glass. The bar has enabled Billabong to showcase his latest award-winning brew. Late last month, the Billabong Wheat, a Kristalweizen co-produced with Rob Murphy and Rahne Maxwell, was judged champion beer in the wheat beer category at WA’s premier beer awards. However, it was the Wheat’s successes in the Best Beer of Show and Best WA Beer sections that most pleased the boss. “We might be able to get wheat beers back in vogue,” says Alan with a laugh. It's not just the brewery and bar offering that is expanding at Billabong, a business that already offers extensive brew-on-premise facilities and contract brews for others. It is also expanding production to include cider and wines. The company started in 1993 as the brew-on-premise sector grew on the back of blossoming interest in home kits. Thirteen years later Billabong got a producer’s licence and what would eventually become a 1200 litre kit was turned to commercial use. Shortly afterwards, Alan was asked by a customer if he could make a gluten free beer to enable coeliac sufferers to enjoy a full flavoured brew. “I replied, 'What the f#$% is a gluten free beer?,” says Alan. “It took about 72 trials before we got something that was drinkable. But I enjoyed the challenge. "After a bit of research, I found there was a place in the market for these beers. Just as there aren't too many brewing operations quite like Billabong. 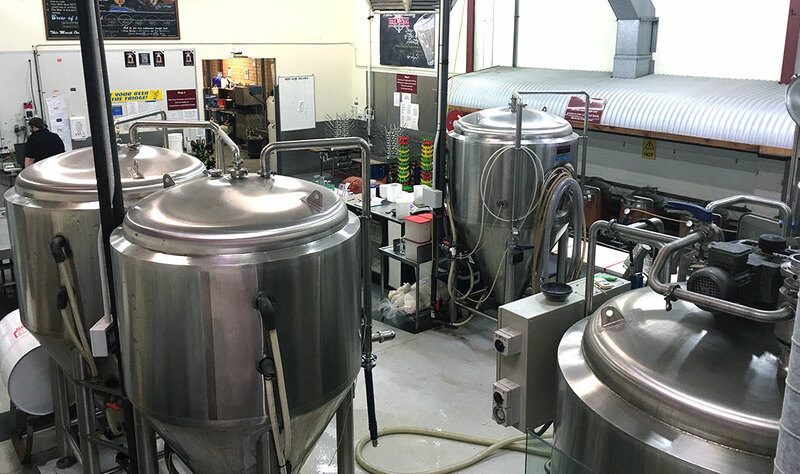 Billabong Brewery is at 72a McCoy Street, Myaree. The bar is open afternoons and early evenings, Tuesday to Saturday, and the brewery’s Australian Pale Ale, Ginger Beer and Blonde are available nationally.